My husband and I are self-proclaimed food snobs. Jon loves to cook and we both love to eat, but even we need a break from the snobbishness every once in awhile. 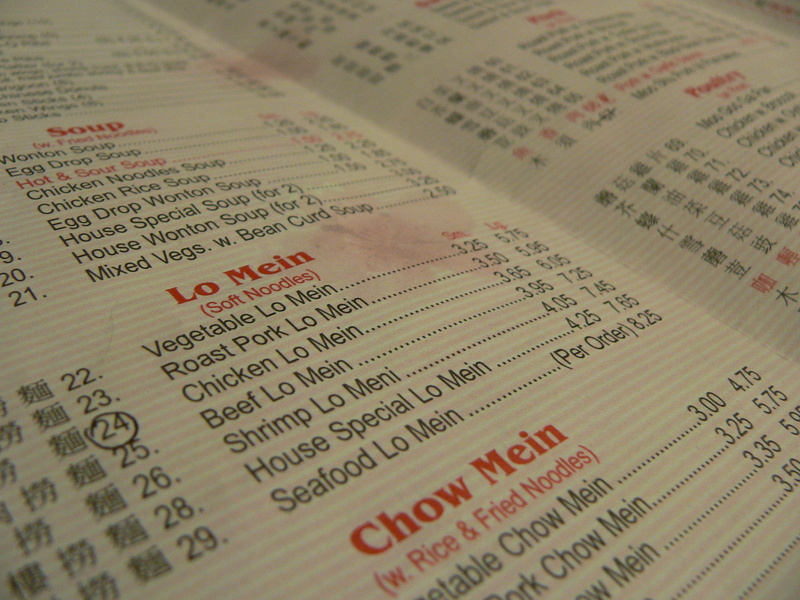 And there are a few food items that we simply love that many would categorize as “crap.” Pizza Puffs from King Gyro, Crunchwrap Supreme from Taco Bell (once a year max), Fried Pickles from Hooters, and MSG laden Chinese food from China House (3119 East State) top our list of “crap” foods. 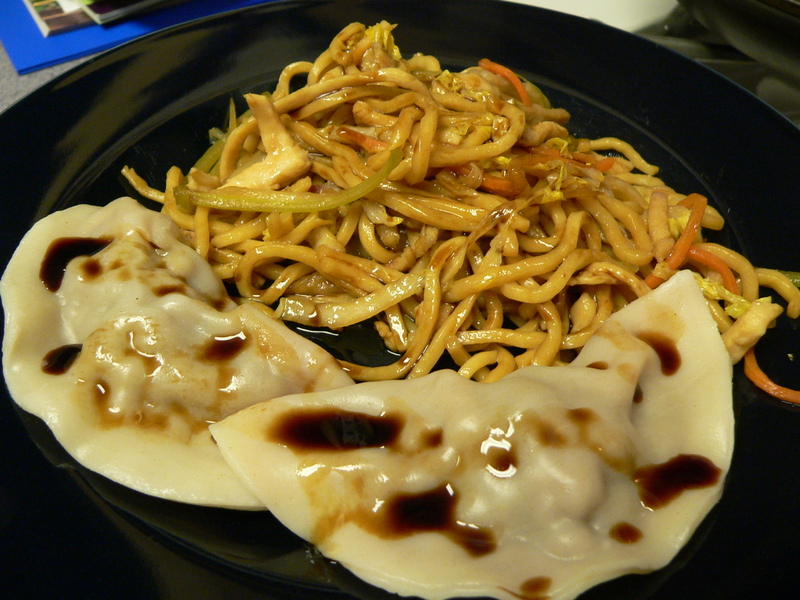 Tonight was a Chinese Take-out kind of night. I usually stick with Chicken Lo Mein, but I was feeling spunky and tried the House Lo Mein, which is bascially Chicken Lo Mein with Beef added. Yeah, I know. I went crazy. Jon always tries something different. He’s more adventurous than me. Tonight he chose the Hawaiian Five Oh made with scallops, roast pork, chicken and jumbo shrimp, pan fried and sauteed with Chinese vegetables and mushrooms in brown sauce. 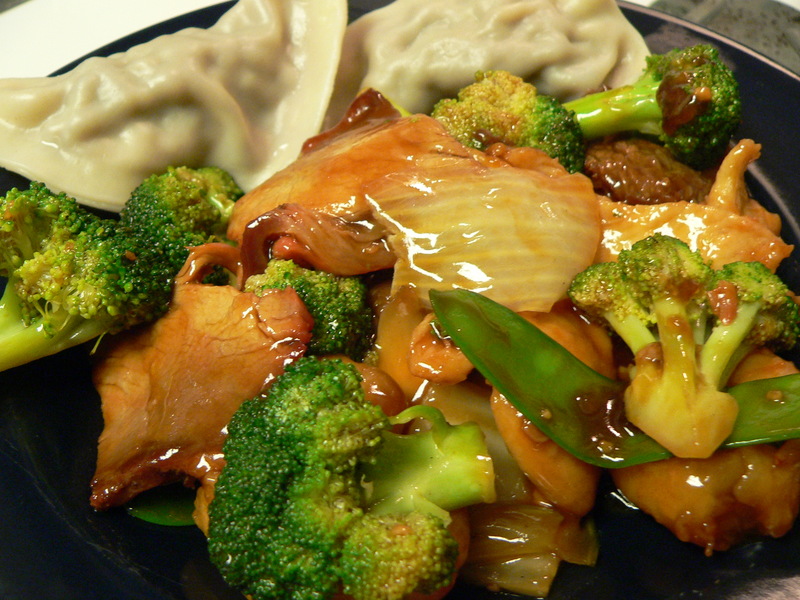 The dinner would not be complete without Steamed Dumplings. The perfect ending to a pretty stressful day for both of us. Egg and chips fulfils the same role for me and my husband. Fab. Egg and chips? What is that?